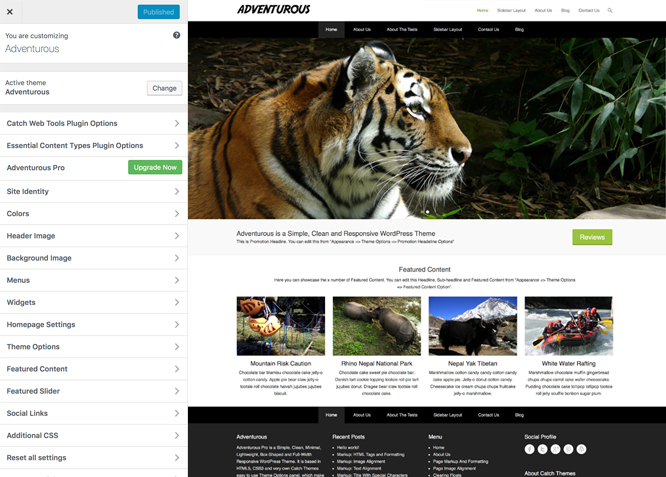 Adventurous is a Simple, Clean, Minimal, Lightweight, Box-Shaped and Full-Width Responsive WordPress Theme. It is based in HTML5, CSS3 and very own Catch Themes easy to use Theme Options panel, which make this theme highly customizable and flexible. 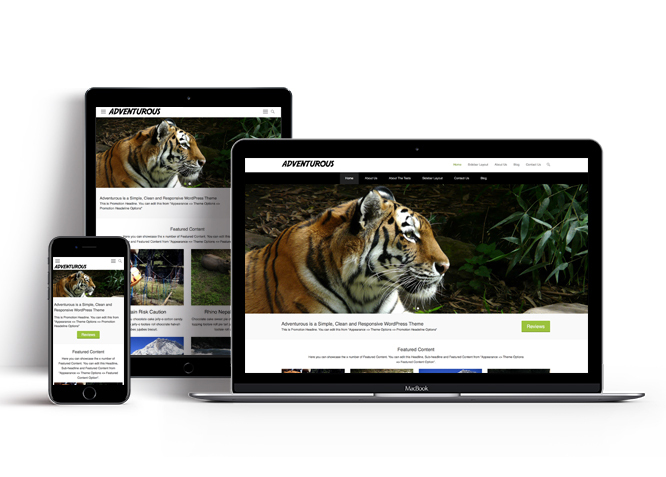 Make your beautiful yet professional website in no time. 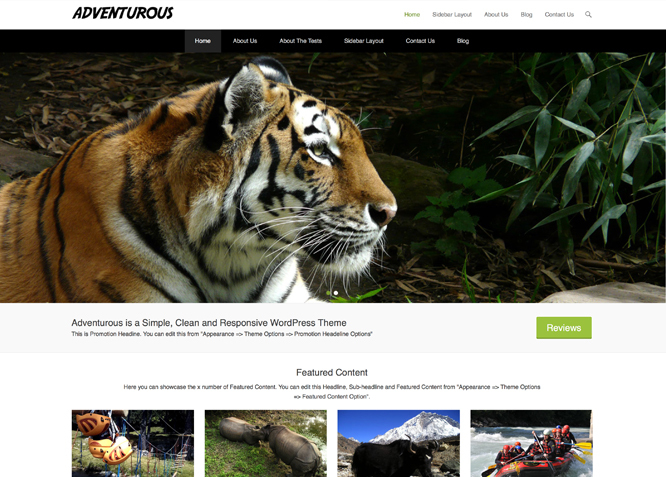 Adventurous is a multi-purpose theme and is suitable for Photographers, Bloggers and Businesses. This theme is translation ready. For more details check out Theme Instructions. Remove blog page template page-blog.php Note: Now to setup of Page as blog, go to "Settings => Readings". In Front page displays, check "A static page (select below)" and select your blog from "Posts page:" select box.